Mr. Danita hasn't developed the film yet but I'll post pictures of my filled-with-candles cake. In the meanwhile, I'll leave you with my wish that you have a great weekend and some pics of the bags that will be for sale next week! If you want one just send me an email or message in my facebook to reserve it for you before it is on sale ;) Just click on the image to make it larger and enjoy the weekend! 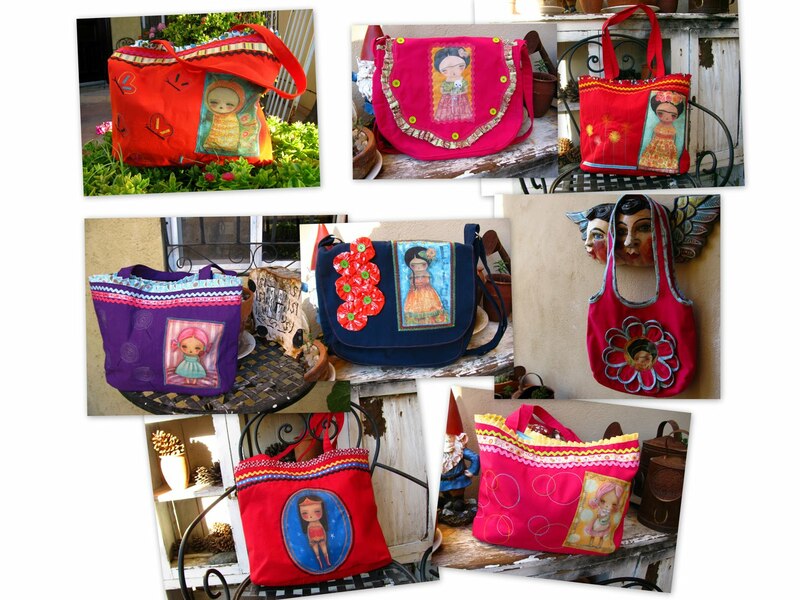 How sweet you bag creations look! I love your bags! Do you sew them yourself? or have them made? They are truly a work of art. so adorable! you are crazy talented, lady! Thank you Sandy, Teddi and Michele and Juliette!